Our connectivity and partnership with the sub-sea cables guarantees seamless onward connectivity to international destinations, as well as creating redundancy and restoration which in turn offers secure and uninterrupted service. 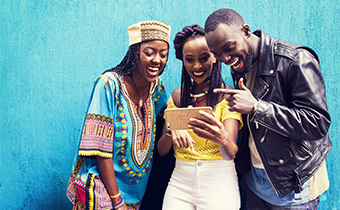 Our reach is growing, more so with our participation in new submarine cable systems like LION2, which completes our connectivity offering along East Africa and significantly improves latencies on the islands off the East African coast. As a shareholder in TEAMS, LION2 and EASSy submarine cable systems, we are at the heart of the largest network of submarine cables in the region. In order to provide diversity, we have also invested in capacity on the Seacom submarine cable system. The TEAMS, EASSy and LION2 landing stations are hosted and managed by Telkom.